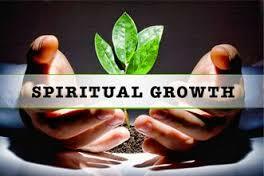 In the spiritual realm, there is no room for stagnancy. One either goes forward or backslides! 1. Certainty of the genuineness of our salvation; because the foundation is very important. 2. Regular (daily), consistent morning and evening devotion. 3. Steady study and personal application of the word of God and other quality Christian literature. 4. Receiving the word of God with readiness of mind. 5. Regular fellowship in a Bible believing and Bible obeying church. 6. Desiring higher heights through faith and prayer. 7. Shunning useless and fruitless comparison. 9. Involvement in God's service. 10. Self denial and sacrificing of some legitimate things. Spiritual growth can only be attained if the Christian desires it, works towards it, prays for it and believes God for it! I Met Jesus at "the Café"